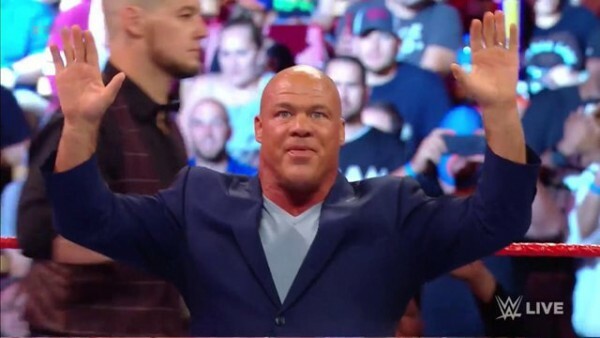 – PWInsider has a report on the previously announced Kurt Angle vs. Baron Corbin match for WrestleMania 35. The match was not a popular decision, with even Kurt Angle acknowledging the negativity on Twitter. Also, his wife, Giovanna Angle, later responded to Jim Ross, agreeing that the matchup was underwhelming. She would later delete that tweet. PWInsider’s report notes that the word backstage is that Angle was hoping for a “more high-profile” talent for his retirement match. The report added that Angle picked Baron Corbin as his own opponent is clearly a “storyline.” Of course, WWE might always “change course” with the backstage plan on the match. WrestleMania 35 is set for April 7. The event will be held at MetLife Stadium in East Rutherford, New Jersey. The event will be broadcast live on the WWE Network.